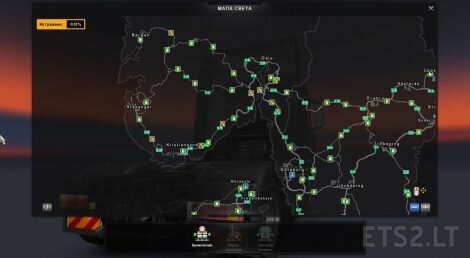 This mod is addon for Promods, Rusmap, Africa, EAA, Russian open spaces, ROC, PRC, PJ Indonesia, Eldorado, Tasmania, Union/South Corea, Dutch, Hungary and/or Rio de Janeiro map. Better traffic flow *** (one of listed maps) won’t work without main *** mod and they can’t be found them in this mod. – Chaned work of semaphores, mostly longer green lights, and partially solve problem of left turn (right turn in UK). – Added semaphores on all crossroads where anyone road/street, on which is enabled ai traffic, intersect road/street which has two lanes in each direction. I didn’t do it on some crossroads in cities, between two crossroads with semaphores or roundabouts. I am sorry about flying traffic light, I still can’t find way to add pole. For me, the most important is that semaphores work. – Replaced all (only on EAA and PRC) one-lane interchanges with two-lane of same type, except interchanges of two highways, where no one highway starts in near city. On other maps I replaced only one-lane interchange of highways and small roads. Work is in progress. – Removed barriers from all tolls which haven’t lanes for electronic payment. Because job generator mostly use ferries and pay 0$ for ferry mileage, and it interfere you from explorirng roads, I remove many ferries, left only neccesery. On example, on EAA map, you can jump from Rio Grande to Vitoria or Santos via Calais, which is unreal. Therefore I removed all ferries from Europe to EAA except Calais – Santos. One more example: You can jump from Kristiansand to Bergen with ferry and it is almost impossible to find jobs with ok sallary via road. I left only 2 ferries, look on image. I removed Eldorado, Indonesia and Hungary from South Corea because there are new versions of those maps. I separate Island map from South Corea and moved it to Tyrrhenian sea. In all map which are connected to Europe via ferry, I deleted all Europe map, so you can drive only on that maps, and made new file with Europe vanilla map for players who still want to play Europe map. I think that I fixed problems between Promods 2.11 and Russian open spaces, and include fix in Better traffic flow Russian open spaces. All mods bellow Africa can be permuted. Only Better traffic flow *** must be above ***. Any plans to include TSM 6.3 ? No, because I don’t like TSM because of low quality. Map is very big and have too much standard interchanges, so it will take me too much time for that quality. 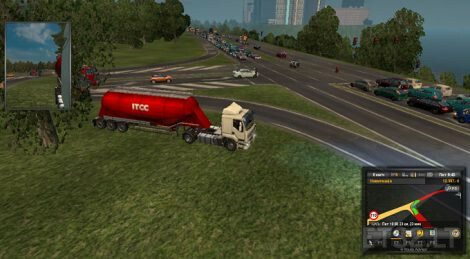 I suggest you to play Promods instead TSM. I drove on TSM until I found Promods. 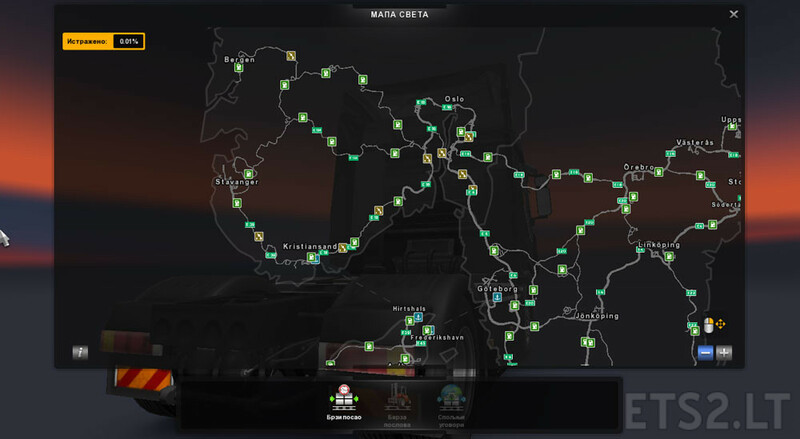 I know that Promods still hasn’t Spain, Italy and Balkan, but I don’t see point to play map which hasn’t even relistic sceneries and copied SCS cities. For, I think, about 6 months, Promods will update mod and new mod will have Balkan and more Spain, I am not sure for more Italy. Africa part of TSM is completely different story. Promods will not build Afrcia until finish all Europe, and, I think, Africa part of TSM have better quality then Europe part. Therefore, use Better traffic flow Africa for African part of TSM.